Two great perfumes were launched by the Armani house, first in 2013 and then again in 2014. Both have intense, unique scents. Each perfume quickly drew its loyal fans and almost instantly there was a competition between Giorgio Armani Si vs Si Intense. It is time to pick the true winner between the two, the perfume which should be on your shopping list. Longevity is an important factor to consider for any perfume. Great perfumes linger, but not so much as to annoy. Whilst both perfumes are long lasting, the Si Intense, as it name suggests, lasts longer than some would prefer. Similarly, the Giorgio Armani Si immediately gives off a great scent, whilst the Si Intense comes off very strong for the first couple of hours. When choosing between perfumes, the smell is the most important factor. On the one hand, you have Giorgio Armani Si with its sweet, rose-scented fragrance. On the other, Si Intense offers a blackcurrant neo jungle essence which is both sensual and seductive. Users have also noted various other scents from both perfumes. The Giorgio Armani Si gives off a hint of sweet, woody vanilla. The Si Intense has a rum-like, Caribbean twist to it. The two perfumes compete very close in price. 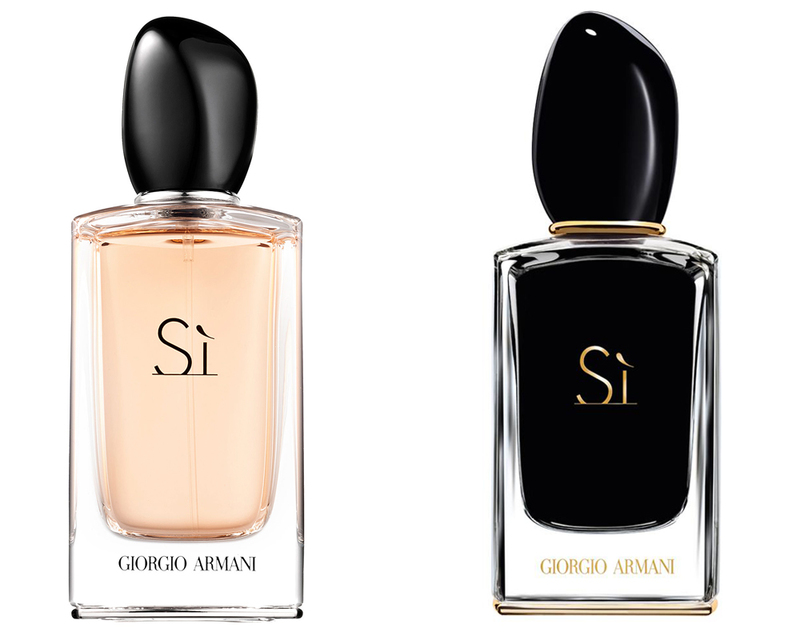 The Giorgio Armani Si comes in slightly cheaper than the Si Intense and so they mark about the same for value for money. If the price is a mark of quality, then both perfumes can be regarded as being some of the highest quality creations by Giorgio Armani. After evaluating Giorgio Armani Si vs Si Intense and their respective reviews, we appoint Giorgio Armani Si as the winner. Both perfumes offer great experiences. The winner is simply better at being liked by its users, who use it both during the day and on fun nights out.